George Just a quick thank you to let you know our wonderful garden set has arrived. It is a 34th wedding anniversary present to ourselves and we truly hope our great grandchildren will enjoy this set as we intend it to be a family heirloom! Thanks again for the wonderful craftsmanship you employ in creating your mallets, we can’t wait to unpack it and christen it on our lawn. Hi George, It arrived today, and exceeds my most optimistic expectations! An absolutely beautiful work of craftsmanship. The mallet handles are perfectly shaped, the varnishing and painting is first class, even the box is nicely finished. My younger son Peter (17), also a keen croquet player, unwrapped it with me and we tried it briefly on the carpet and we were both delighted to hear …. it even makes the right sound!! And to think this is your bottom-of-the-range set!! !So thank you very much. I am so glad I found you before going ahead with importing the Jaques set. George-I wanted to let you know that my Hurlingham set made the 7,000 mile journey to my home in Victoria Texas successfully and in less than a week from placing the order. I have had the pleasure of using this product before and am thrilled to now have a set of my own. This purchase was the last piece in the construction of a regulation-size croquet pitch on my property that will provide years of fun for my family friends. 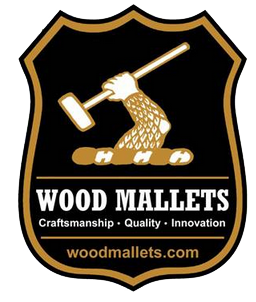 Thanks again for your prompt service please feel free to use my positive feedback in the endorsement of woodmallets.com. We received our beautiful croquet set today, wow! Better than we imagined it would be. Thank you for the beautiful work. Love it – thanks for talking us up to the Association Set.And, its all in time for the long weekend, so let’s hope for some good weather and a lawnmower that works!! A quick note to say that our purchase arrived yesterday afternoon, in good time for Christmas Day. Thank you for your excellent service, I have been talking your company up to all who have expressed interest in our choice of family gift this year. I will be sure to contact you again should we need to expand our set!Merry Christmas to you, you colleagues and family. Hello, I just wanted to thank you for my new croquet set. I was nervous about buying the set sight unseen but my expectations have been exceeded. A bargain at the price and prompt delivery too. David W. Bates My wife took delivery of the set about 4:00pm CDT this afternoon while I was at work. I can’t believe you delivered on such short notice.I immediately took a mallet and ball out of the case and just began hitting them around getting the feel of it. I anticipate we will spend many hours playing and bringing our game to a whole new level. The set arrived promptly and safely, about 3 days! It is a wonderful set and did indeed surpass my expectations. They’re HERE!!! Oh my goodness….they are wonderful! You did an outstanding job on the crest, too! It looks so very “regal”!! Croquet now takes on a new dimension with this terrific equipment.I can’t begin to tell you how exciting it was to see those green boxes arrive and popping open the lids. It was just like Christmas!! Many, many thanks for doing all the extras: crest, trophy box, crest on the boxes. To say that the workmanship and set exceed my expectations is an understatement. I can’t wait to put them to use. It has been an absolute pleasure working with you, George. Thank you. I wish you the very best in the coming year. Happy Croquet to you, too! I received my Croquet Set. I cannot describe my excitement when I opened the packaging and seen the wooden container. It was spectacular! !I would like to say that it is more beautiful than I ever could have predicted or imagined! (Inside & Out). I would like to congratulate you and your craftsmen on a job that truly exceeded my expectations. PS – Please pass on to your craftsmen that I REALLY appreciate the superior workmanship they have put forth in producing my Croquet Set!! Thanks Again! I just wanted to tell you that your croquet-set arrived yesterday. I was really speechless when I opened the box. It’s simply great!!! You really did a fantastic job! I can’t wait to test it this weekend. Thanks again for everything Jörg Thank you for the Hurlingham Croquet set which arrived safely late yesterday afternoon. It is excellent value and the quality of your company’s business operation is very very impressive … from packaging to production, service and marketing … all are neat.The website is one of the best I have seen and your company’sremarkably fast response to simple enquiries is just great. A special thank you for including a copy of the American rules as it does help provide a broader perspective to the game. Wishing you all continuing success and thank you all for providing a quality croquet set that will be enjoyed by friends and neighbours. The croquet set arrived today and to say my husband was thrilled (it was a birthday present) is an understatement! He appreciates fine wood working and was quite enthusiastic about the high quality.Thanks very much. I’m delighted to have found you! I just wanted to let you know that I received my croquet set over the weekend and took them out for a knock around yesterday evening with my Kiwi buddy and we had a blast! They are trully lovely mallets and play exceptionally. The croquet sets arrived in good order and they are absolutely beautiful. Please thank your team for producing such finely crafted sets.Elaine (Kirkland, WA, USA) Just received your beautiful croquet set, absolutely delighted with the quality and speed of delivery, happy to recommend you in future and look forward to some fun croquet. Just a note to thank you for the unbelievably quick delivery of the lovely croquet set. I am very impressed with both the quality of the set and the ease and speed of ordering and delivery. Just a quick message to let you know that it’s a pleasure doing business with you chaps, as nothing seems to be too much trouble. As I said to you on the phone the other day, all I have to do is pick up the phone, place the order, and a week or so later all the gear is here. You organise everything: the freight, delivery, courier etc., etc. All time consuming stuff. Door-to-door service !! Makes my job very easy, and for that I thank you.Thanks also for getting back to me with the $conversion, now if our head-office is half as efficient as you guys, then you should your money in no time. Courtesy, professionalism, and efficiency. Very important ingredients for a successful business. And you have all 3 !! Thanks again, Gentlemen, rest assured your efforts do not go un-noticed !! Keep up the excellent work ! I wanted to take a moment and tell you how pleased my wife and I are with our croquet set. This was a special present for our 17th wedding anniversary. From ordering through receiving the set your organization was terrific.. We played yesterday and although we don’t have an official court yet it was alot of fun….. I have to say the quality of the product and your organization are really top drawer. I would recommend your product and service to anyone. Just a note to say we received the croquet set on Saturday. We’re really pleased with it and have been very impressed with your service, shame more co’s aren’t like you!